Nestled between Croatia and Albania, fascinating Montenegro is one of Europe’s last undiscovered treasures. There’s not a lot of it – its barely 100km from top to bottom – but crammed within it is some of the most spectacular scenery in Europe. It has a wonderful coastline of stunning beaches lapped by turquoise seas, from where stunning limestone cliffs rise dramatically to mountainous landscapes as impressive as anything you would find in the Alps. Montenegro offers visitors a glimpse into the past; it’s a country where time seems to have stood still, with its cliffside monasteries, quaint fishing villages, and historic walled cities, where people still greet you with a friendly smile. We are based in Becici close to the picturesque coastal resort of Budva, which lies in a glorious bay on a broad sweep of beach. Known as “mini-Dubrovnik”, its tiny and picture-postcard Stari Grad (Old Town) perches dramatically on rocks jutting out into the bay, and dates back to the 15th-century. This walled town is one of Montenegro’s cultural highlights, with its medieval citadel, centuries-old stone walls and 7th-century churches – fascinating to stroll around its narrow atmospheric streets now crammed with shops, bars and restaurants. 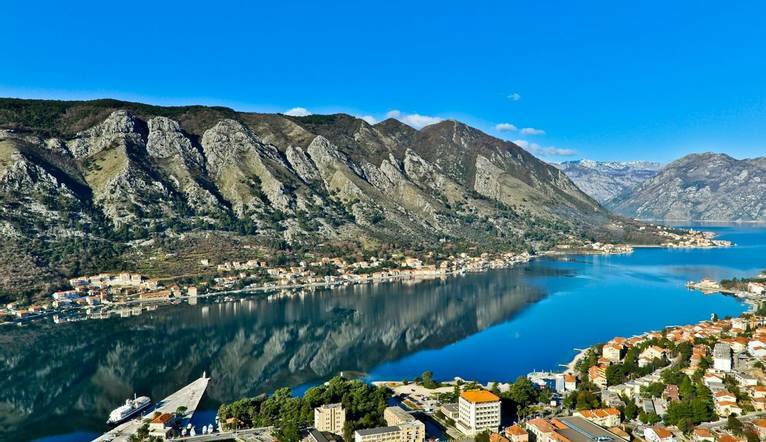 Considered sacred by Montenegrans, the Lovcen National Park is home to “Black Mountain” after which the country is named. The park is a unique habitat to a vast array of flora and fauna – over 2000 species; the result of extreme altitudes and the influence of two differing climate zones: Mediterranean and Continental. This combination in such a small space creates a unique habitat. Starting from the village of Tudorovici, we hike along a mountain path to the shepherd’s cottages at Ogradjenica. From here we climb up through wonderful mountain scenery to Sjenokosi and on to Brajici to visit the Austrian Fortress at Kosmac, a great spot to admire the wonderful views of the coast way beneath you.nd its narrow atmospheric streets now crammed with shops, bars and restaurants. Our walk climbs to Jezerski Peak, from where there are magnificent views of almost half of Montenegro, before we descend to the village of Njegusi, famous for its local produce – such as wine, honey and cheese – and there will be the chance to taste some of it on a well-earned break. Located just 80m from one of Montenegro’s most beautiful beaches Becici, our attractive, friendly hotel is just less than 2km from the old town of chic yet historical Budva. Enjoy national and international cuisine in the restaurant or grab a well deserved drink at either the main bar, beach or pool bar. Leisure facilities and services on offer include a swimming pool, beauty and massage salon, table tennis, gym, billiards, beach volleyball, basketball and souvenir shop. The stylish bedrooms all come equipped with cable TV, telephone, minibar, air-conditioning, safe, internet access, hairdryer and French balcony. Side sea view rooms are available at a supplement. For important information relating to Walking holidays, see Medical Conditions here. The transfer time from Dubrovnik Airport to our hotel is approximately 1 hour 45 minutes depending on weather and traffic. Four guided walks are included in the programme. Your walking guide will advise you in resort of the daily programme. The walking programme is graded as Medium and you can expect to walk between 8 to 12km per day, with some ascents/descents, rough underfoot terrain and high altitudes involved.